Napa Valley's prestigious wine reputation was built boldly on the back of Cabernet Sauvignon. The region boasts close to 20,000 acres of vineyards planted with this red wine grape varietal. Napa's warm weather, long growing season, diverse soil structures, and remarkable microclimates welcome Cab-loving vintners and consumers alike. The vast majority of Napa's wineries will offer at least one Cab in their tasting lineup. However, if you're a wine enthusiast visiting the Valley, you'll want to hit the top wineries to discover the best of Napa Valley Cabernet Sauvignon. Keep in mind, it's always a good idea to call ahead for tasting reservations, though many places still allow drop-ins. The winery's daily tastings offer a lively and illuminating presentation of the Pine Ridge Estate Cabernet Sauvignon. They offer a great selection of wines, though one collection is particularly interesting. The Appellation Collection of Pine Ridge Cabs represents each of Napa's designated appellations: Howell Mountain, Rutherford, Oakville, Stags Leap District, and Carneros. This gives tasters a tangible sense of place while creatively educating palates in the process. Beyond the standard tastings, you may also be interested in Pine Ridge's "elevated tastings." Perfect for a small group, you will venture to Cellar 47 deep in the winery's caves for the most intimate experience. Tours are also available with wine and cheese pairings. Leaning heavily on history and modernization, Beaulieu Vineyards has been a pioneer in Napa Valley's winemaking legacy for more than a century. Founded by Georges de Latour in 1900, Beaulieu enjoys a remarkable reputation for producing world-class Cabernet Sauvignon. The winery has a solid range of Cab-driven offerings. It begins with the first tier Napa Cab for around $20 and goes up to the high-end Georges de Latour Private Reserve Cabernet Sauvignon that can reach $350. There's sure to be something to please the palate and purse of most visitors. Tours and tastings run the gamut, from guided tastings of four Cabs to in-depth reserve and barrel tastings. BV guests will also get a glimpse of Napa's history and long-standing Cabernet Sauvignon partnership. Located in the distinguished Stag's Leap District, this winery is in the very heart of Napa's Cab country. Cliff Lede Vineyards centers around a trifecta of topnotch wine talent. With the gravity-flow winery built in 2005 and a high-tech berry sorting system, Cliff Lede takes the dazzling details of winemaking very seriously. They also have the ability to separate the juice in fermentation tanks by vineyard blocks, which are all named after rock songs, like American Girl and Born to Be Wild. Cliff Lede is known and loved for their Cabernet Sauvignon (Poetry is the ritzy, high-end flagship bottle) and stellar Sauvignon Blanc. The winery itself creates a sizzling atmosphere with rock 'n roll themes, gorgeous California casual tasting venues, and first-rate wine tasting options. Louis Martini's pioneering efforts with Cabernet combined with a commitment to bring well-made, well-priced Cab to the masses makes this Napa Valley tasting a must stop. Cabernet Sauvignon (from both Napa and Sonoma) is the flagship and it's featured front and center when you visit. The winery offers great tasting options. These include a seasonal flight, which changes four times a year and gives you a representational taste of their portfolio. The enhanced "Good Life Flight" gives wine lovers the opportunity to experience the best the winery has to offer, including the amazing Cellar No. 254 Lot 1 Cab. Caymus Vineyards produces two high profile Cabs. The Special Selection Cab is based on a blend of the year's best barrels. A Napa Valley Cabernet offers a classic, well-concentrated take of the region's most notable grape. Both wines consistently win the hearts and dollars of Napa's top wine enthusiasts. The Caymus tasting room is an outdoor experience and a perfect adventure for a sunny California day. You'll taste five wines from the Wagner family and hear plenty of stories to keep you entertained while enjoying their top-notch Cabs. Started in the 1970s with an eye towards producing exceptional Napa Valley Cabernet Sauvignon, Silver Oak maintains their extraordinary Cab focus over 40 years later. Today, they showcase premium Cabernet Sauvignon from both the Napa Valley and Sonoma's Alexander Valley. The elegant influence of American oak plays a critical role in the style and structure of Silver Oak's wine as the final blends are crafted prior to barrel aging. Silver Oak's Cab reasonably priced tours and tastings are offered at Napa's Oakville winery. They will likely open a second tasting room at the Alexander Valley winery upon completion. Chateau Montelena is historically relevant to Napa Valley's timeline. This was the winery that produced the first-place Chardonnay which took the big win over the best of Burgundy in the 1976 Paris Tasting. Both Chardonnay and Cabernet Sauvignon are big winners at this one-of-a-kind estate tucked into Napa's northern tip of Calistoga. The multiple tastings they offer vary greatly and carry considerable content for both Napa newbies and seasoned enthusiasts. Chateau Montelena showcases two Cabs. One is made with grapes sourced from Napa Valley and the other is crafted from all estate-grown grapes. 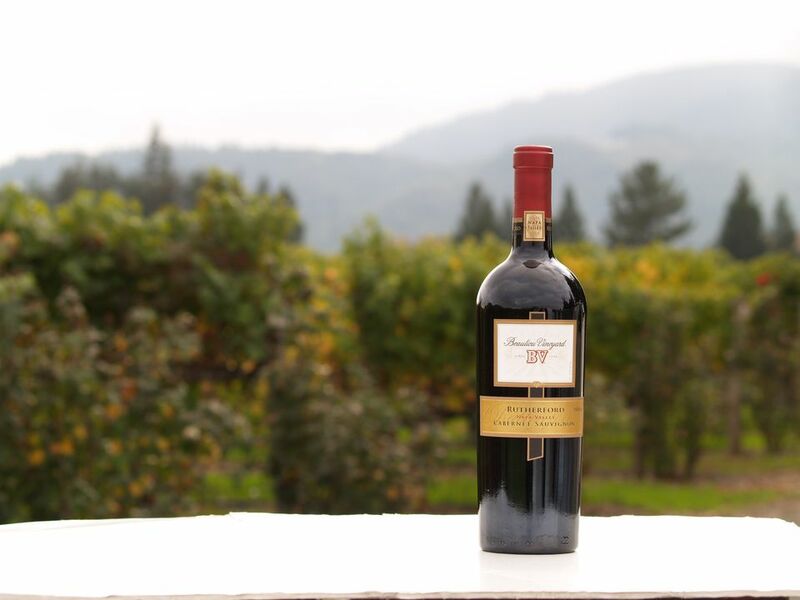 Established in 1973, Duckhorn Vineyards has been a long time fan of Bordeaux grape varieties. With Merlot and Cabernet Sauvignon shining as their brightest stars, there's been considerable interest in using both in stunning blend renditions. To that tune, Duckhorn spun off a winery inspired and initially devoted to their best Cab-based blend, Paraduxx, in 2005. The Discussion carries the winery's mantle for the best of the blend. It highlights generous proportions of both Cabernet Sauvignon and Merlot to the delight of many Duckhorn fans. Decoy, Duckhorn's sister label, is geared for the solid value, under $20, everyday wine find. Several different levels of tasting experiences can acquaint visitors with the Duckhorn portfolio. This is highly recommended in order to fully grasp the impressive wines they offer.